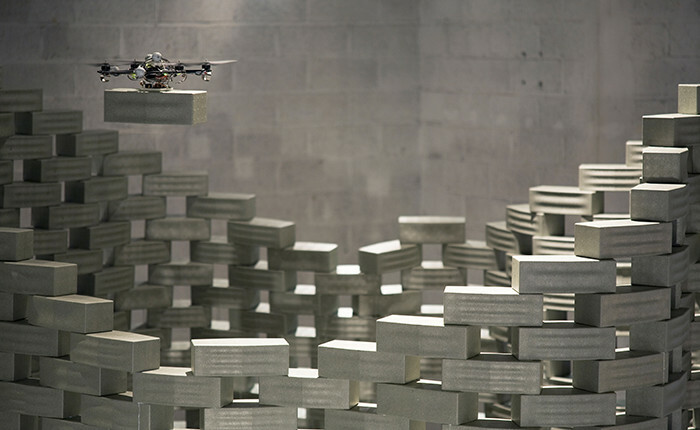 Flight Assembled Architecture is the first installation to be built by flying machines. 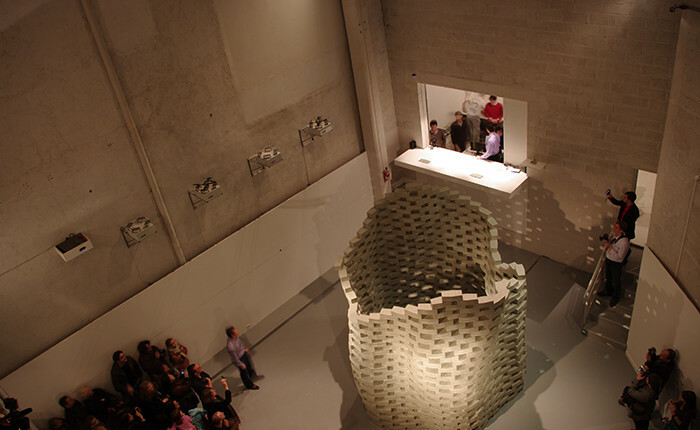 Conceived as an architectural structure at a scale of a 600 m high “vertical village”, the installation addresses radical new ways of thinking and materializing architecture as a physical process of dynamic formation. Following an initial phase lasting several days and dedicated to the assembly by flying machines of a model standing 6 m high and 3,5 m in diameter – made up of 1500 prefabricated polystyrene foam modules –, the exhibition features a “megastructure” in its completed form, along with a film documenting the airborne assembly and all aspects of the exhibition.